A fully funded PhD studentship is available for research into 3D computer vision to support film production. Research will be conducted as part of a collaborative project with two leading UK companies in the film industry (DNeg www.dneg.com and FilmLight www.filmlight.ltd.uk) and provide opportunities to gain industry experience. PhD research will be conducted as part of an established team led by Prof.Adrian Hilton which has pioneered 3D video technologies for film, TV and games production www.ee.surrey.ac.uk/Personal/A.Hilton. 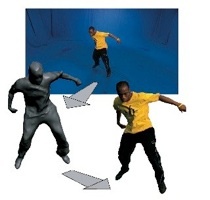 The challenge of this PhD research is to develop robust real-time computer vision methods for 3D reconstruction from multiple view video and depth cameras in complex outdoor scenes for onset production. Research will build on recent advances in computer vision to introduce a novel approach to 3D capture that is robust for complex dynamic scenes. The research programme will provide an excellent opportunity to develop advanced knowledge of computer vision and graphics together with experience of state-of-the-art industry practice. Funding is available to support attendance and presentation of research advances at leading international forums in vision and graphics as part of the PhD research and training programme. Applicants are sought with a 1st class degree in engineering, computer science or other numerate subjects and knowledge of computer vision, computer graphics and video processing. All applicants should be able to demonstrate excellent mathematical and problem solving abilities together with experience in multi-core and GPU programming. An enthusiastic interest in the fields of computer vision and graphics is essential. Interested applicants should contact Prof. Adrian Hilton (a.hilton@surrey.ac.uk) for further information. To apply for the PhD studentship please send a full CV and degree transcripts to Prof. Adrian Hilton.